As reported by the Los Angeles Times on July 12, 2015, Los Angeles County is not a safe haven for pedestrians. In the recent article, after performing a comprehensive evaluation of data for the period 2002 through 2013, the LA Times identified more than 800 intersections in Los Angeles County that have proven to be highly dangerous to pedestrian injury claims. The article commends the efforts made to increase safety and the flow of vehicles and pedestrians to reduce the danger, but also suggests many additional measures be taken to better safeguard pedestrians. The LA Times article identifies certain areas within Los Angeles County that are particularly dangerous to pedestrians, including Hollywood, Koreatown, Westlake and Downtown LA, among others. Of course, it is easy to un derstand that neighborhoods with a high volume of foot traffic have the greatest number of pedestrian vs. vehicle accidents. Learn about what you should do if you or someone you love is struck by a vehicle from William E. Waddell, Esq. Normally, a pedestrian injury is when someone is struck by a vehicle suffers significant to severe injuries, and occasionally passes away. Due to the severity of the injuries, it is vital that the injured pedestrian retain. Attornies are immediately to commence an investigation into what occurred, preserve evidence, and obtain witness statements. You should have the intersection evaluated by an expert in the field of traffic safety and road design. The number of rear-ender accidents: The faulty design of an intersection where the pedestrians don’t have adequate time to cross can be established by data showing an elevated number of rear-end accidents because drivers, that have a green light, but then realize a pedestrian is in the crosswalk in front of them, stop abruptly and as a result are rear-ended by another car. 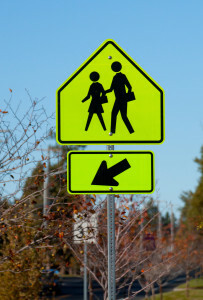 Try and prevent pedestrian injury cases. Find information on our site about car accidents. The demographics of the community: Intersections near community centers, churches, senior living facilities, etc. should have the signal phasing adjusted to allow additional time for those areas most impacted by pedestrians and where elderly people live or visit that result in a pedestrian injury claims. The Speed Limit: Intersections with roads higher speed limits should be set to allow more than adequate time for the pedestrian to cross. At high speed intersections, drivers have less time to react to avoid accidents and the injuries are more severe, thus justifying a longer signal timing to make absolutely sure no pedestrians are hit. If you, or someone you know, was injured when struck by a car, bus, truck or any other vehicle, don’t delay, seek the advice of a lawyer. A lawyer will provide feedback on your claim, explain your rights, and outline what needs to be done to protect your rights and strengthen your claim. Visit this link for more information about our personal injury lawyer.